Cryptocurrency miners are considering microgrids to meet the high energy demand of Bitcoin production — and a California microgrid developer is on top of the trend. San Diego-based CleanSpark is designing a grid-connected, solar plus storage microgrid for a large, unnamed cryptocurrency mining operation. The project is noteworthy because of the large amount of energy consumed in producing Bitcoins. It takes the energy equivalent of nearly 15 U.S. households (14.88) to process just one Bitcoin, according to expert estimates. Not surprisingly, the rapidly increasing amounts of energy being consumed by Bitcoin and cryptocurrency “miners” – operations that create new cryptocurrency by competing to process new transaction blocks – has been making headlines of late amid wild gyrations and soaring exchange prices. CleanSpark plans to begin construction in 30-60 days of a custom designed, proof of concept system incorporating solar PV, lead-acid battery energy storage and a microgrid controller at a site in Southern California, said Bryan Huber, chief operating officer, in an interview. If all goes well, CleanSpark expects to expand the project to meet all the facility’s power needs. That is likely to entail making use of lithium ion and flow battery energy storage, as well as deployment of CleanSpark’s mPulse microgrid control system software. Energy is one of the largest expenses incurred by cryptocurrency mining operators. The comparatively high cost of electricity, and more specifically, high peak demand charges for large California consumers constrains their ability to turn a profit. In addition, the project is situated in an area that lacks sufficient grid capacity. So the cryptocurrency mining operator would not be able to fully scale the project without installation of on-site power generation, Huber explained. CleanSpark’s preliminary estimate pegs the levelized cost of energy (LCOE) of the full-scale cryptocurrency mining microgrid under 11 cents/kWh. That compares to the average 15.16 cents/kWh paid by California commercial customers as of November 2017, the most recent data released by the Energy Information Administration. The project mirrors increasingly favorable economics for solar plus storage, which reportedly set a new record low price in an Xcel Energy solicitation earlier this month. The median offer came in at 3.6 cents/kWh, 20 percent lower than the cheapest PV-plus-battery power-purchase agreement seen to date. The previous low was 4.5 cents/kWh in a NextEra Energy contract for Tucson Electric Power signed in May last year. Furthermore, nearly 100 percent of the cryptocurrency mining facility’s power would come from renewable energy resources, and the system would deliver power and energy 24/7, Huber pointed out. All that said, CleanSpark and the cryptocurrency mining operator are working closely to design a solar plus storage microgrid capable of generating revenues by participating in California’s ancillary grid services and spinning reserve markets, should cryptocurrency mining prove unprofitable, or insufficiently profitable, over the long haul, Huber added. 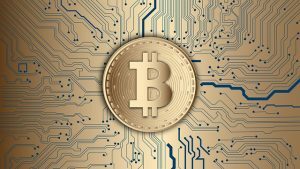 Based on “proof of work” blockchains, cryptocurrency mining operators may well prove to be coveted customers for microgrid and renewable energy project developers given their high energy requirements, particularly in California and other costly energy markets, as Morgan Stanley highlighted in recent market research. 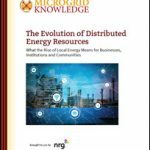 Track news about solar plus storage microgrid projects by subscribing to the Microgrid Knowledge newsletter. It’s free. Curious how this is even economic. 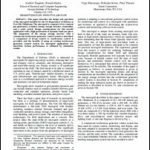 You do the math on the electricity consumption of the “miners” and the revenue possible and unless there’s been significant improvements in both processing power and improved energy efficiency of the miners (specialized computers), this just doesn’t seem to make sense. I looked at it as a possible revenue enhancer for the extra solar power we generated for your Quikbyke Qiosk (http://quikbyke.com) and I couldn’t make it work 18-24 months back. Client hasn’t broken down the cryptocurrency part of the savings, so can’t answer the question fully, but I do know that the PV+Storage is designed as a UPS for the load and the site grid connection does not have any increase in demand. This avoids a utility service upgrade cost.